But this weather also evokes a need to cook, or mostly bake. 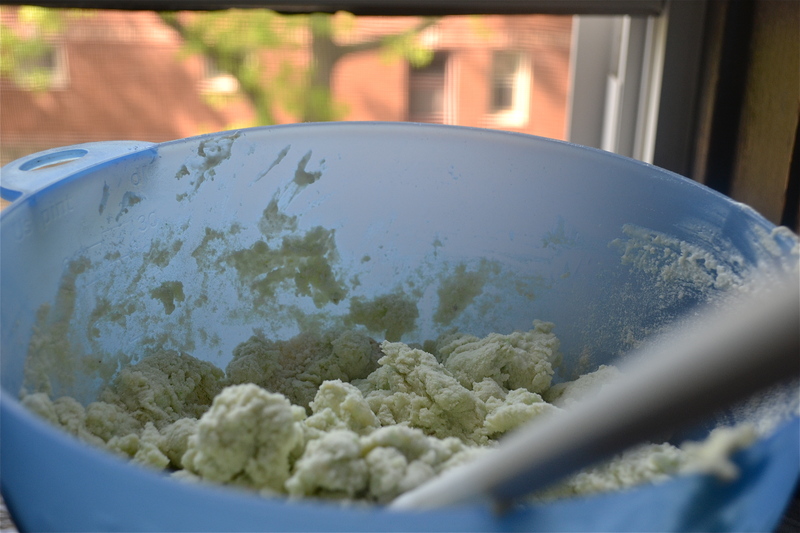 There is something warm and soothing about stirring butter and sugar together into a sweet, creamy concoction. Plus the oven helps warm a drafty city apartment and a tiny-framed Irish girl. So it became my endeavor to create something that would compliment my Earl Grey obsession and my Atwood-esque mood and leave me content (and temporarily full). That’s not too much to ask, right? The obvious choice was scones. Flaky, pastry goodness that enjoys both being lightly torn into crumbly morsels or going for a brief dunk into a soothing, milk-kissed tea. Day 100 of cold, dreary weather and the scone extravaganza was most certainly happening. I dragged myself out, shopping tote in hand, ready to brave the blustery elements. As I was walking to the grocery store pondering what kinds of delicious scones I would make, it hit me—pistachios and amaretto. I had been craving pistachios for weeks, and I secretly blamed my mom, a lover of all things pistachio, because I assumed my craving was a physical manifestation of homesickness. I figured combining my intense pistachio craving with my love of dessert seemed like the perfect way to cheer me up. 1. 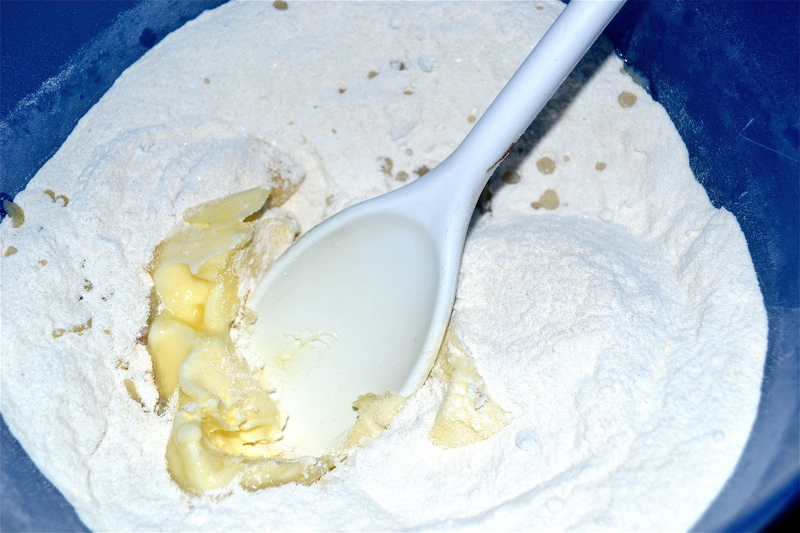 Mix dry ingredients together (flour, baking powder, pudding mix, salt and sugar). 2. Add the softened butter and mix well. 3. Gently add the sour cream, vanilla and almond extract. 4. 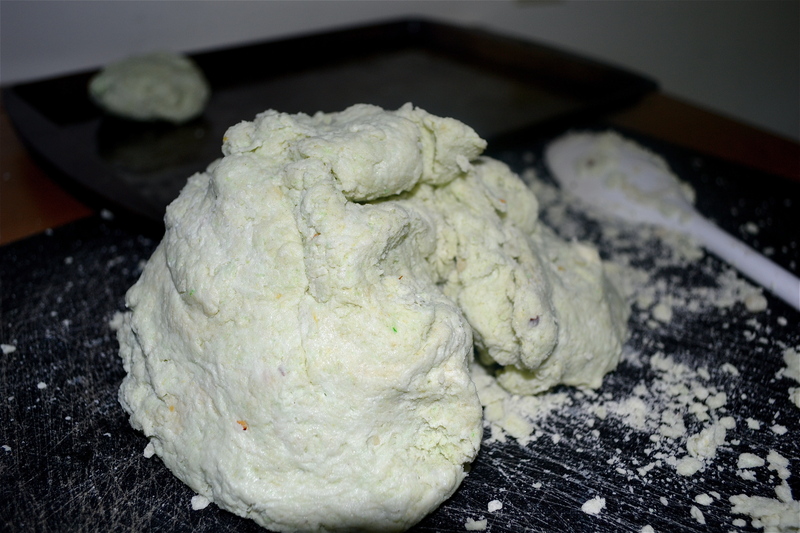 Now it’s time to work everything together until you create a pliable dough. 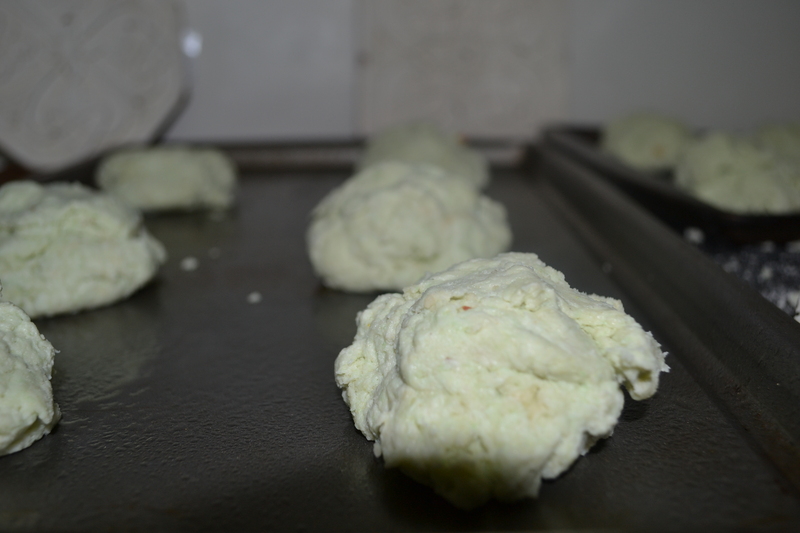 Be careful not to overwork the dough or the scones will be tough. For some, the need to make a perfectly shaped scone is most important. For me, it’s more about the taste, so I didn’t worry too much about cutting them perfectly. I just tore off a handful of the dough and shaped it into a little scone-like ball (and repeated for the rest of the dough). 5. Grease a cookie sheet. 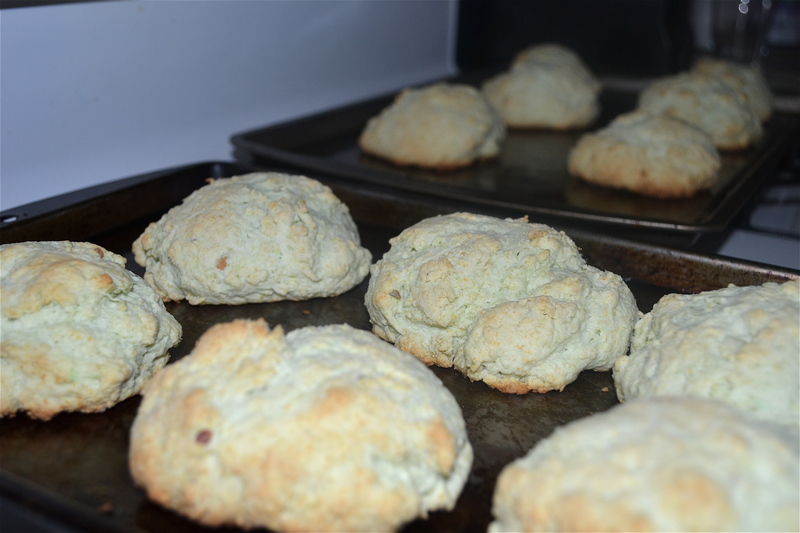 Add the scones to the sheet and bake for 25-30 minutes or until the tops are golden. 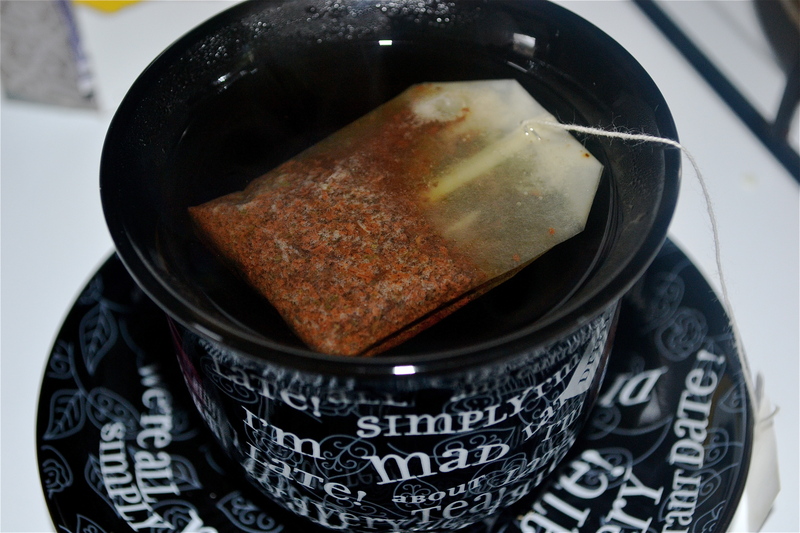 Serve with a freshly steeped pot of Earl Grey tea. These scones were so light and airy that I didn’t need the typical powdered sugar sprinkling, clotted cream smear or pat of butter. But if you so desire, a nice sprinkle of powdered sugar immediately upon removing them from the oven will create a nice, hardened (and might I add, yummy) top layer of sugar. I’d like to say I slaved away in the kitchen for hours making these, but honestly the recipe is so easy it’s impossible to screw up. 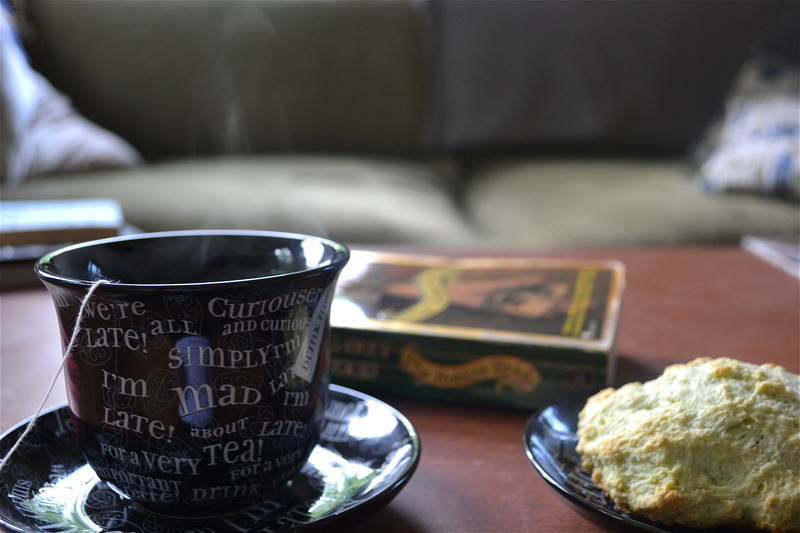 I must admit, a few seconds after biting into this warm, out-of-the-oven scone and sipping some aged earl grey tea, I felt refreshed (almost enough to shout to the weather gods, “Bring it.” ALMOST…). I devoured about three of these, much to my dismay (I freely admit that I have absolutely no willpower), and immediately left the rest for my roommate and apartment guests (OK, maybe a little willpower). 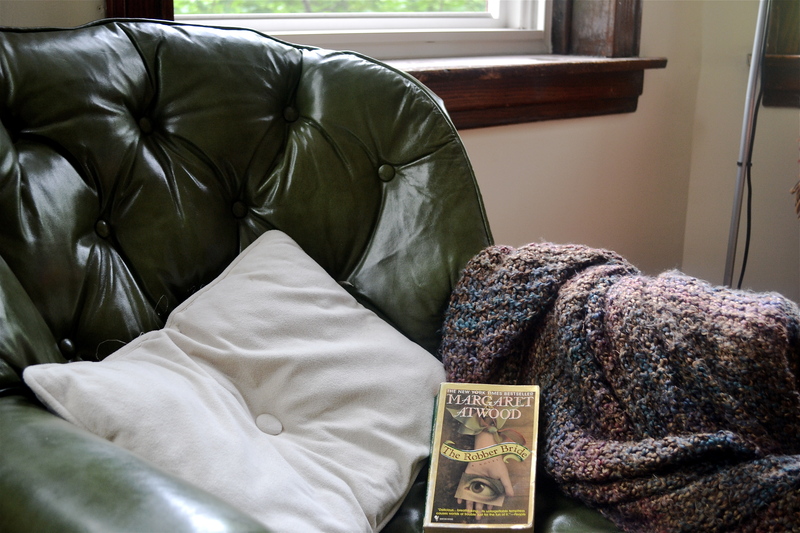 Now if only there was time to curl up with a blanket and read the day away. Soon perhaps….soon.